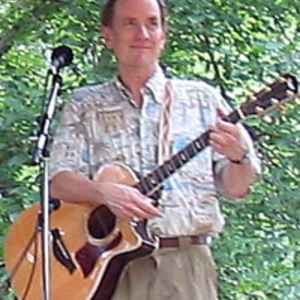 North Carolina native, Mike Craver graduated from the University of North Carolina and was a member of the The Red Clay Ramblers for 12 years, appearing in Diamond Studs and Sam Shepard's A LIE OF THE MIND, recording nine albums, and touring the US, Canada, Europe, Scandinavia, Africa and the Middle East. After leaving the Ramblers, Mike got involved in more theatre, both as a writer and performer. Off-Broadway credits also include The Oil City Symphony (co-author and original cast member, Drama Desk award), Smoke on the Mountain, Radio Gals (co-author and original cast member, LA Ovation award), Wilder (co-author and original cast), Lunch at the Piccadilly (co-writer and original cast), Smoke on the Mountain Homecoming (arranger and additional music and lyrics). He has worked in theatres across the country, including the Pasadena Playhouse, Actors Theatre of Louisville and the Cape Playhouse in Dennis, Mass.